Oh dear. This is rapidly turning into a wasps-and-chickens blog. This is another mud dauber (unsurprisingly called the black and yellow mud dauber (Sceliphron caementarium)) and here you can see it collecting a lump of mud with which to build its nest. There were around a dozen of these visiting a rapidly-shrinking puddle this afternoon. 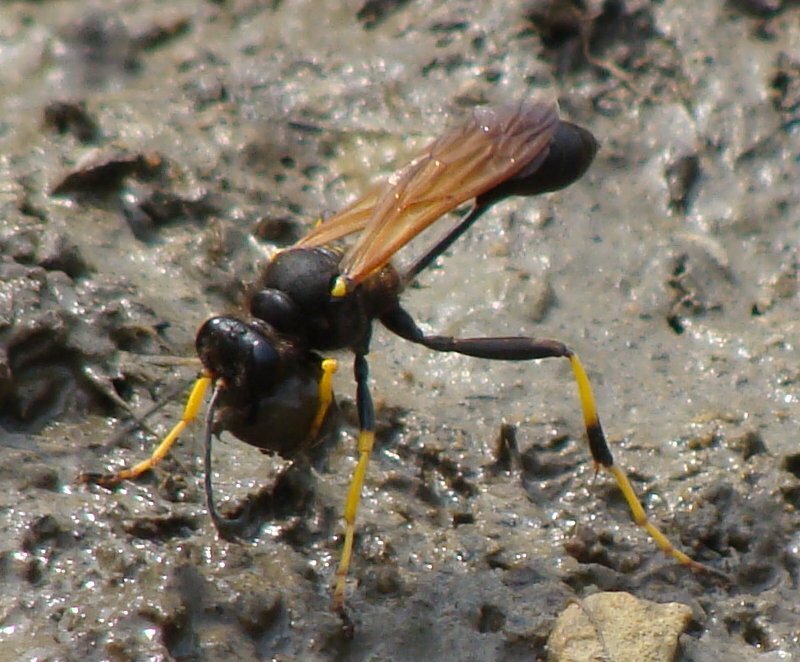 Like the blue mud dauber, these are solitary wasps and don't aggressively defend their nests - they're not a particular threat to people. They also stock their nests with spiders, so if you're the sort of person who is even more scared of spiders than you are of wasps, don't swat these ones!